Yeh Rishta Kartik Naira to face another tragedy. Kartik is in shock because of Naksh and Kirti’s accident. On coming home, he faces questions from Naira’s side. Kartik tries hard to hide the bad news from Naira to keep her protected from sorrow. He makes a blunder, which makes her suspect him further. He has unwillingly come home and doesn’t know what to tell Naira. Naira poses many questions. He is helpless and can’t suppress the truth in him for long. Kirti undergoes the surgery. Kartik wants to be with Kirti at the hospital, but the family sends him home. She wants to know why is she family so upset and hiding their tears. She finds something suspicious. He lies to her that Naksh had sent him to the hospital to get Kirti’s medicines. He asks her not to panic and spy on him. He is afraid that Naira will shatter knowing the truth. She asks Kartik not to lie to her and makes him swear on their coming baby. Kartik expresses his sorrow and breaks down. He tells the bitter truth that Naksh and Kirti met with a big accident, which led to Kirti slipping in coma. Naira collapses knowing the truth. 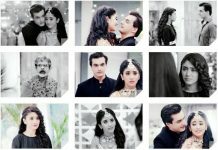 Kartik imagines Naira’s fatal state and then makes up a mind to conceal the truth from her. He makes Naira sleep and stays busy on his phone to know about Kirti’s surgery. He goes numb in grief. Kartik feels he has failed as a brother, since he couldn’t save his sister. Naksh can’t handle the tragedy. He wants Kirti and his baby to be fine. The family didn’t expect this to happen. Naira gets new signs and visions about Kirti’s death. She was afraid for herself and her baby. She didn’t know that this would happen with Kirti. Naira gets a strong intuition about Kirti’s demise, which gets more shocking. Naira develops labor pain and gets admitted in the hospital. Doctors tell her that they can’t wait more for the operation. They try to inform Kartik about operating Naira for a premature delivery of the baby. The operation gets tough when the doctors find it hard to save Naira’s baby because of her high stress levels. Ishqbaaz: The family wants to know when will Shivaansh get married. Shivaansh is avoiding marriage because of his short life. He hides his kundli so that nobody knows about his bad fate. Pandit also misses to see his lifeline. He just predicts about Shivaansh’s marriage and his would be life partner. He praises the girl who will be perfect for Shivaansh. Shivaansh isn’t keen to get married. Pandit describes the bride, as ACP Aditi, who is perfect and doesn’t commit any mistake. Shivaansh gets confused with pandit’s prediction.